Do you still have some belongings left in storage? If you are planning a possible move, then you definitely will not want to forget to bring it with you. 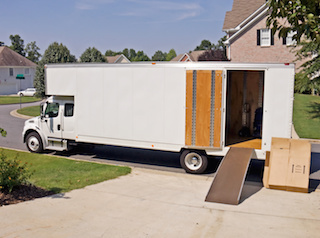 Often, storage centers may have trucks for rent, but what good does that do anyone when you are moving either long distances or across state lines? There are many reasons why you should choose Brighton Movers Company over doing a transport job on your own or choosing some of the flaky and unaccommodating services from our competition. Too often, we have seen inexperienced move truck drivers on the streets. But there is a reason the gurus get paid for their work, and that is because specialists like the ones at Brighton are well versed in all safety and security precautions in both traffic and moves. Especially when an everyday, untrained person decides to rent a truck for himself or herself, it creates not only a danger to your things and also to all the other people who are driving. While it seems like a simple and convenient way to save money, you are only doing yourself and others a disservice. That is why Brighton Movers Company offers the best in services such as moving and storage transport. We take care of all the lifting and carrying, so you can relax and focus on all the other important moving tasks at hand. Whether you are in Brighton, Massachusetts or anywhere else for that matter, when you contact our offices you can get started right away on your move.